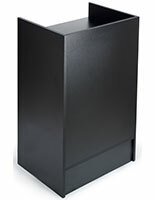 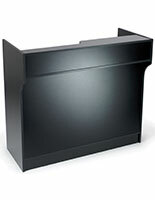 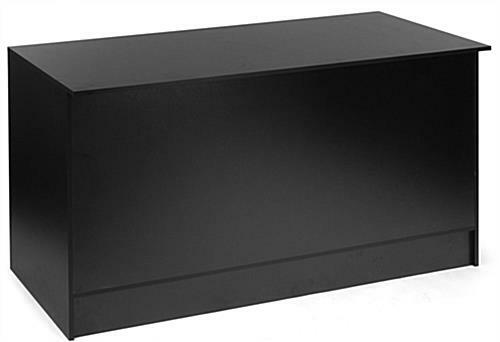 Keep employees organized with these black checkout counters. 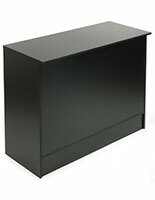 This counter features plenty of room to store all of the items necessary for smooth customer transactions. 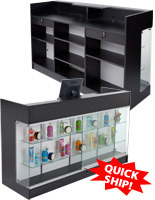 Underneath the checkout counter are two large areas for storing returned items or "on hold" merchandise. 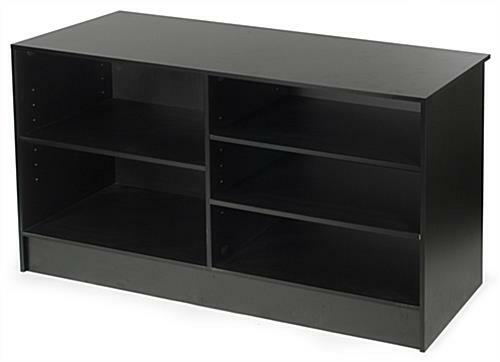 Adjust the size of these storage areas with three adjustable shelves. 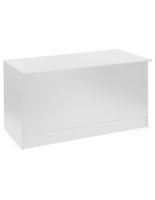 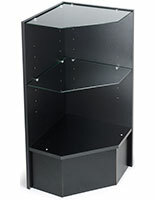 With adjustable shelving, you can easily accommodate larger or smaller merchandise as well. 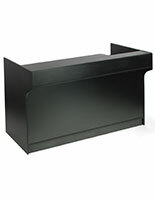 Set up a register on top of the flat surface and leave extra space for ringing up items and bagging products.